Though it's been eight years since I had my first baby, the options available for paid maternity leave are no better than they were a decade ago. Women are still stuck either returning to work long before they have fully physically recovered, or they must take unpaid time off after their babies are born. If you know that you plan to get pregnant within the next couple of years, short-term disability insurance can provide you with the financial cushion you need during your maternity leave. Pregnancy and postpartum recovery are common "disabilities" that can be covered by such insurance. Of course, the catch with this kind of insurance is the fact that you have to sign up for it before you get pregnant, which can make this option a non-starter for anyone who has an unplanned pregnancy. 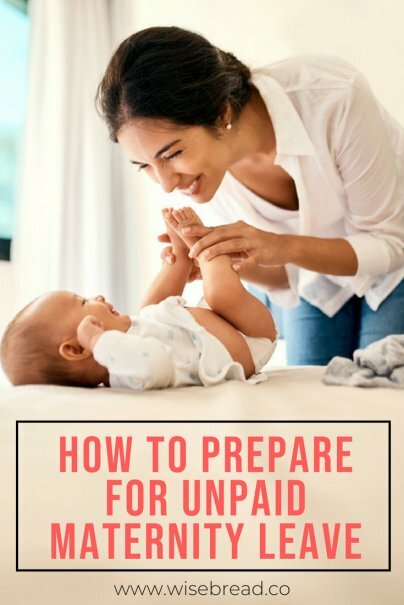 If your employer allows you to roll over sick days, personal days, and vacation days from one year to the next, saving up your paid time off can be one of the best ways to ensure that you keep your regular paycheck coming while you're at home with the baby. If your employer offers overtime, you can try to volunteer for as much as you can while you're preparing for the baby. You can either bank the extra money in a savings account you'll live off while you are on maternity leave, or you can ask to use the overtime as flex time, so that your extra hours now will give you paid time off later.